Sketches of “thorny dragons” in preparation for a submission to an anthology coming soon. 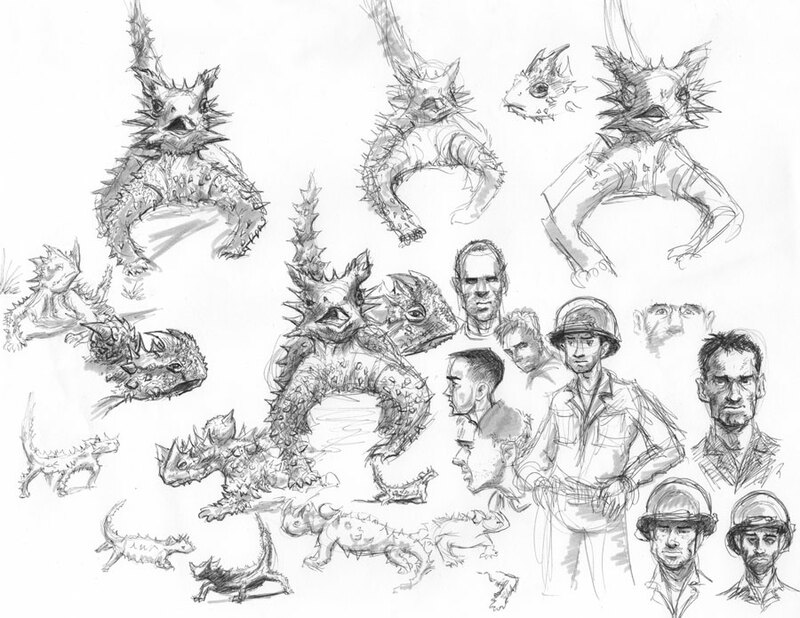 Plus sketches of soldiers; I’m enjoying working with ballpoint pen and grey brush pen. I'm an artist writing and drawing a graphic novel that takes place during the Second World War. On this blog I will display the sketches I do in researching and preparing for the book. Check out the about page if you'd like to learn more about me, or subscribe to the RSS feed if you'd like to receive updates.